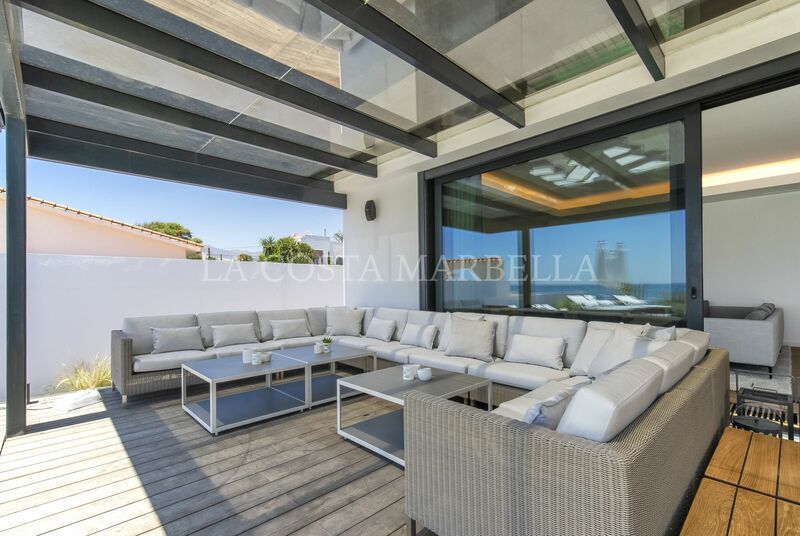 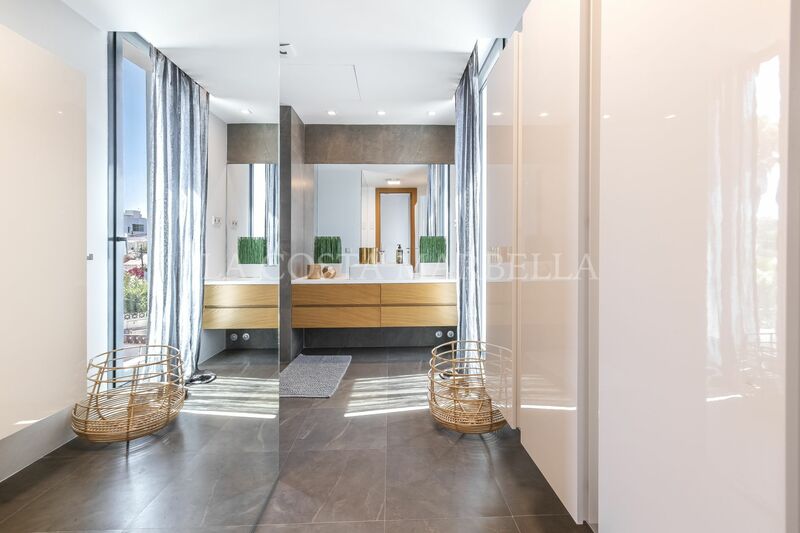 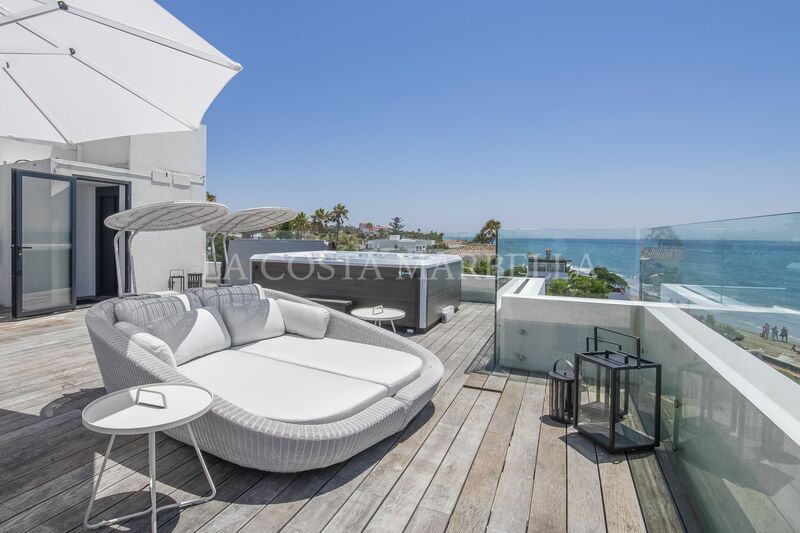 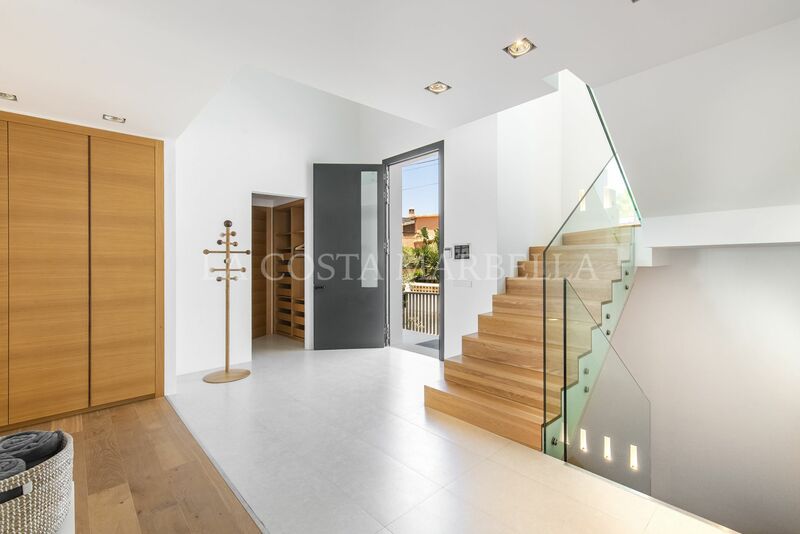 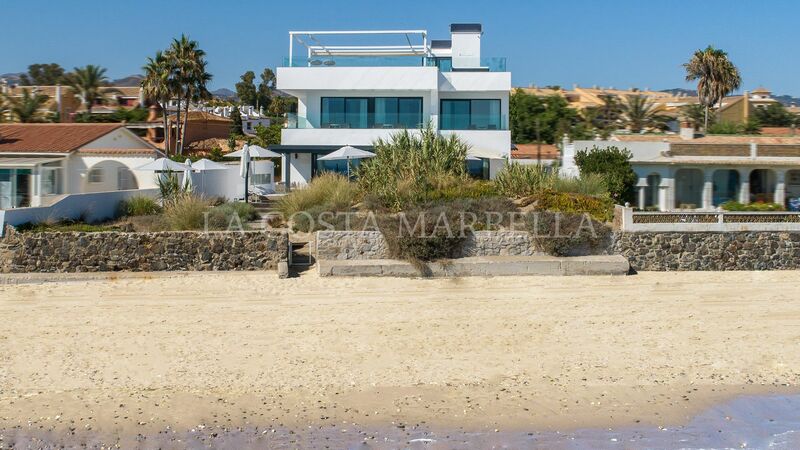 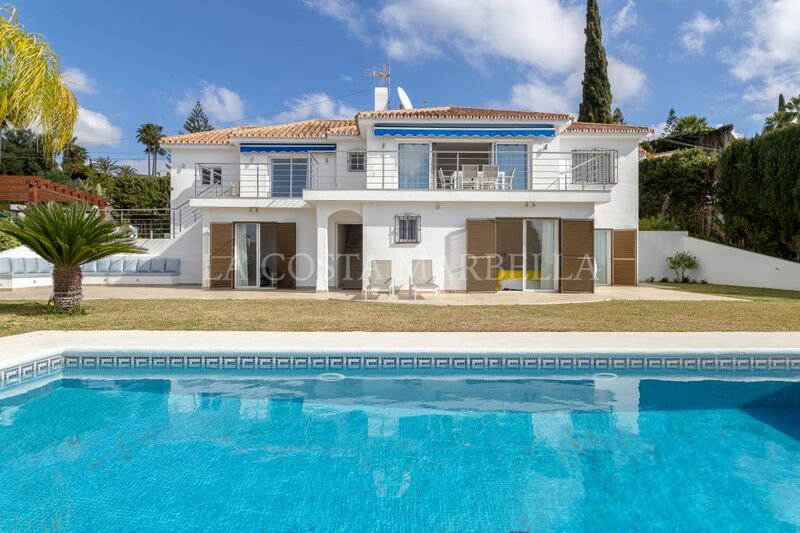 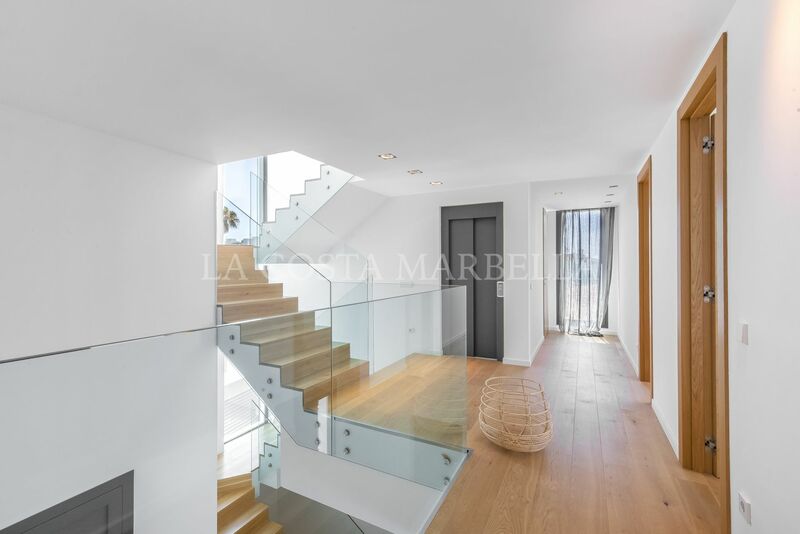 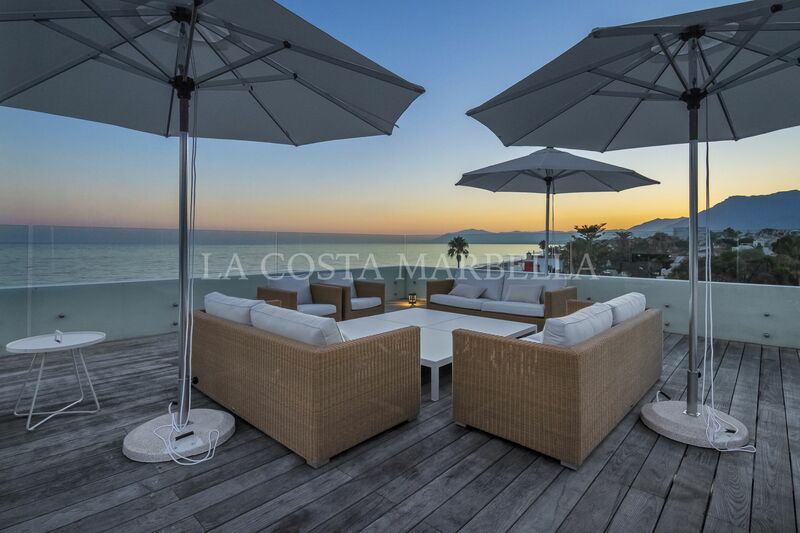 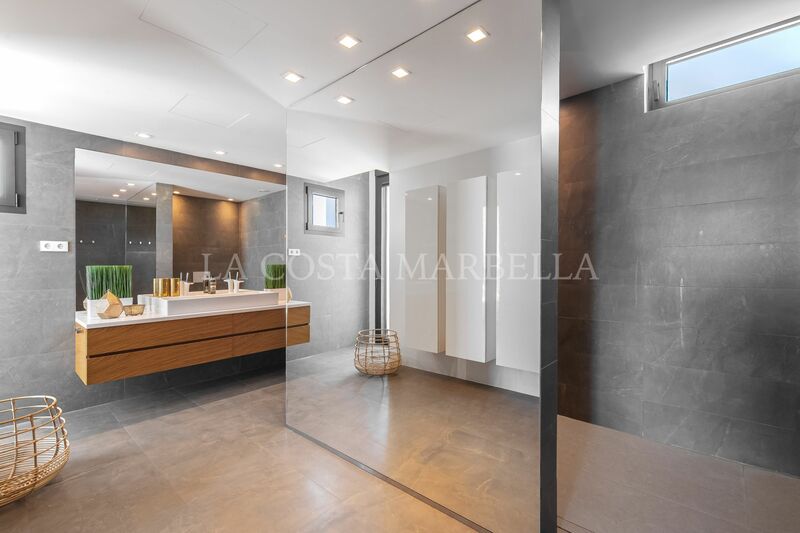 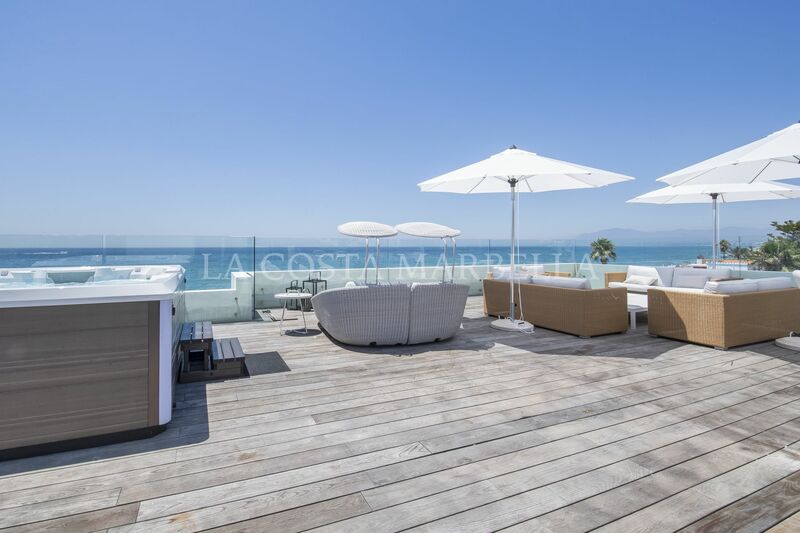 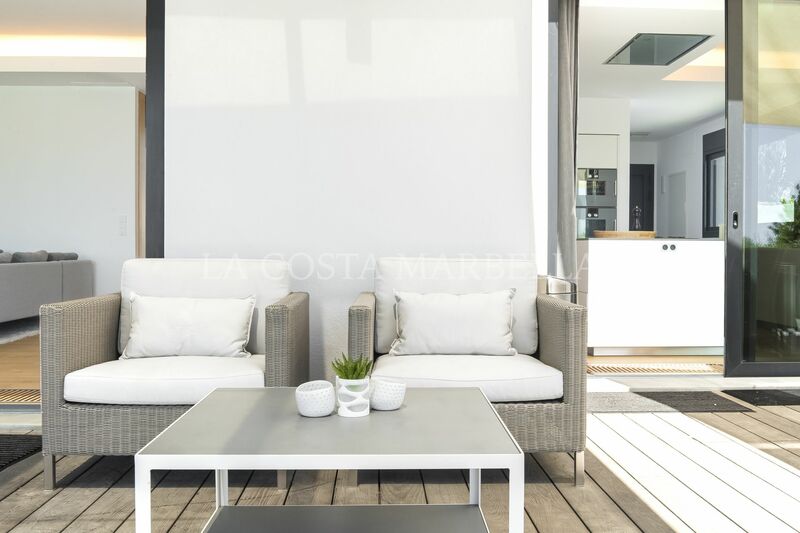 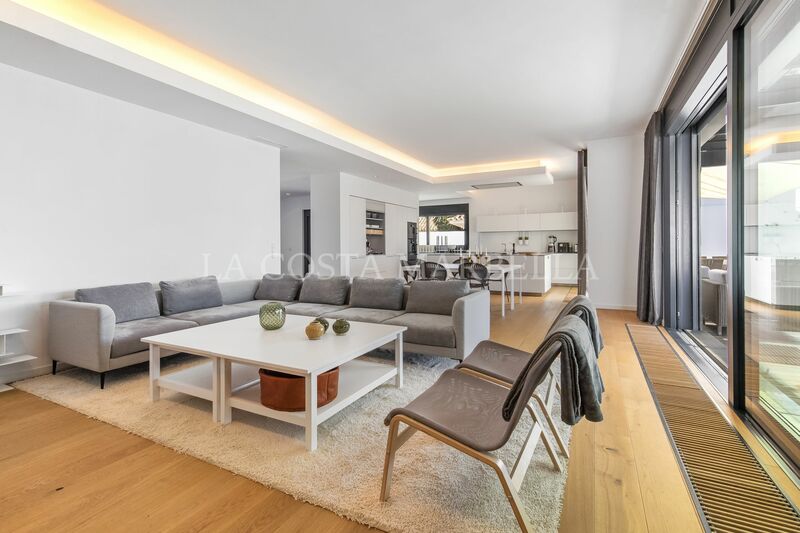 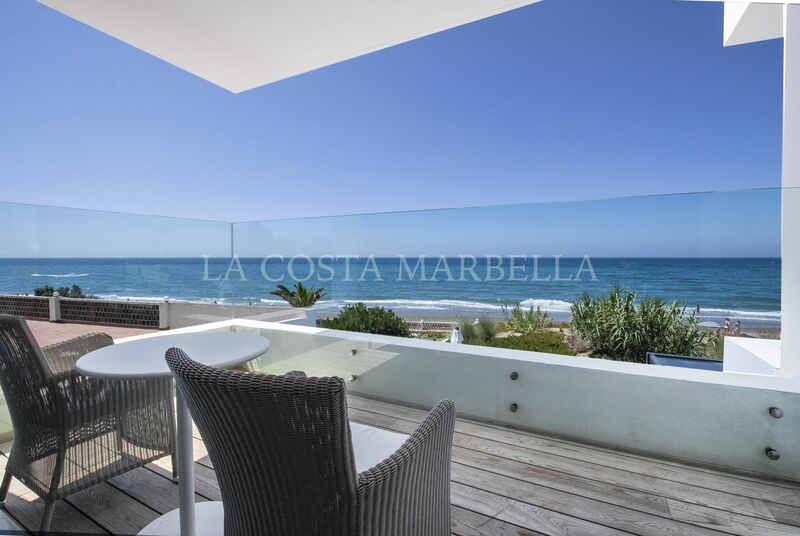 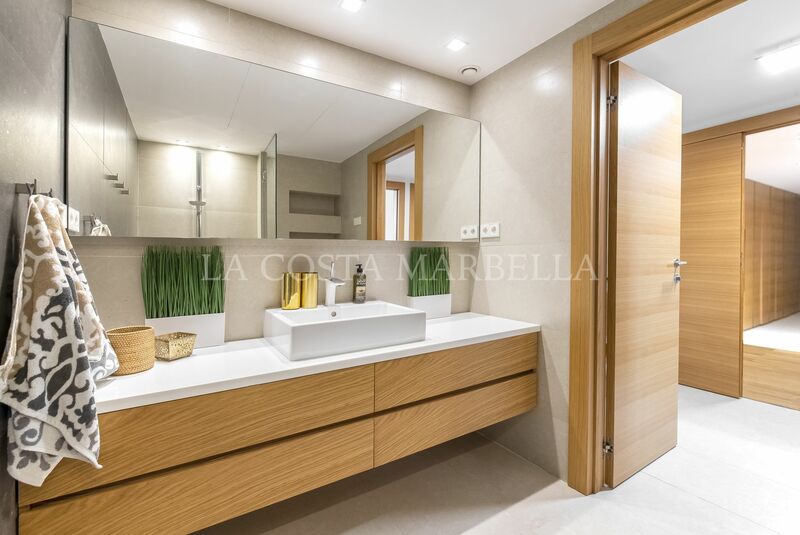 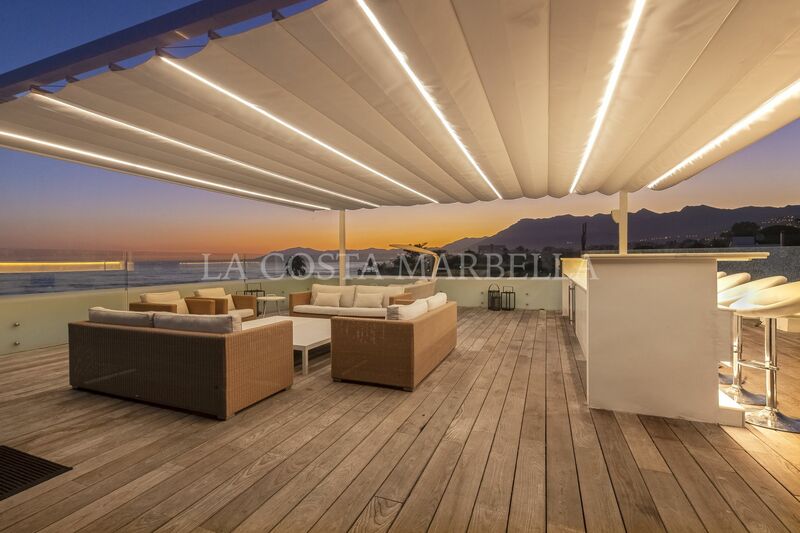 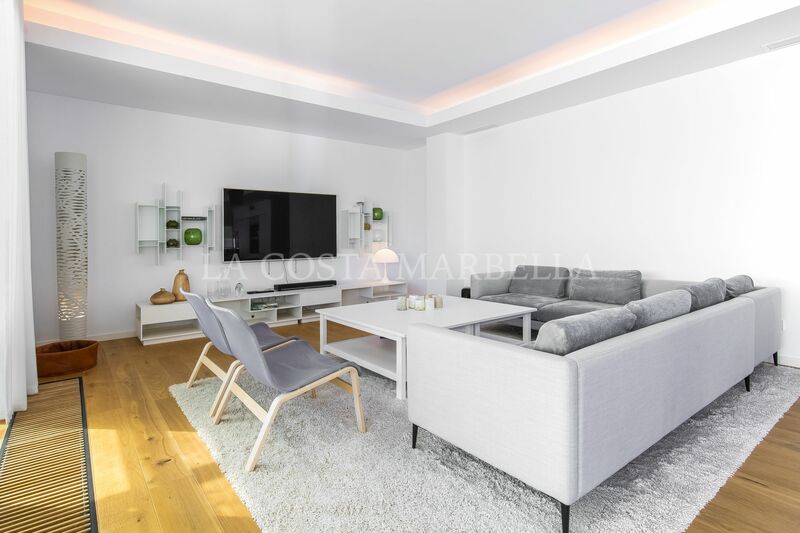 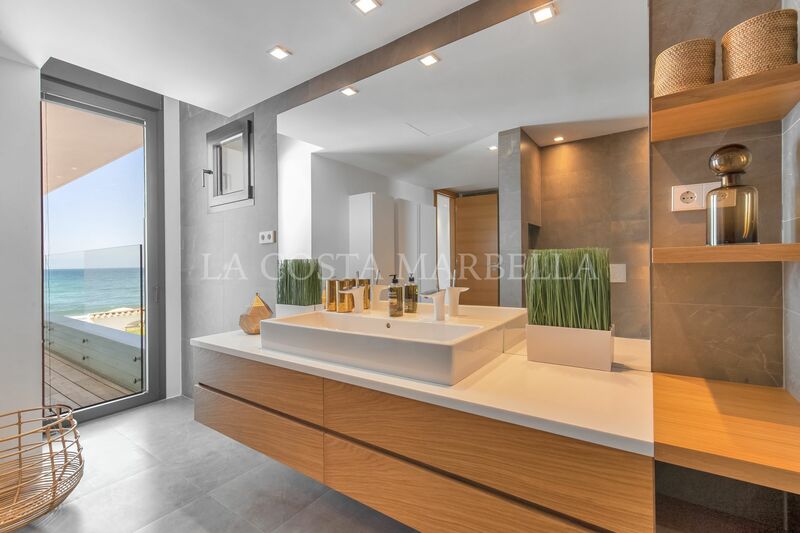 Stunning Front-line Beach 6 Bedroom 4 Bathroom Contemporary villa located right on the beach at Costabella, Marbella East only 10 minutes drive to the centre of Marbella and Puerto Banus. 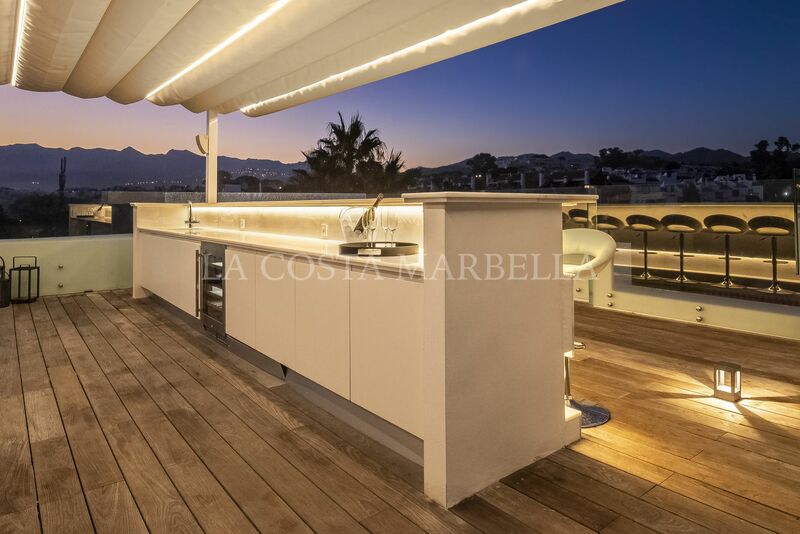 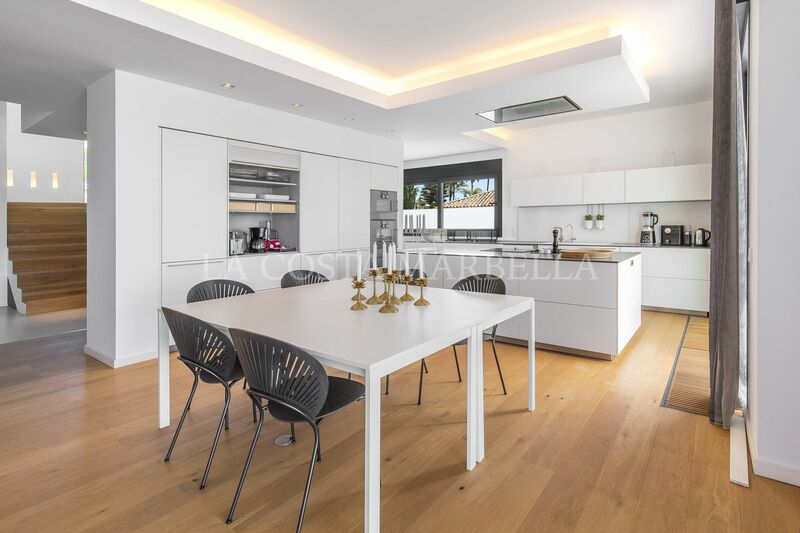 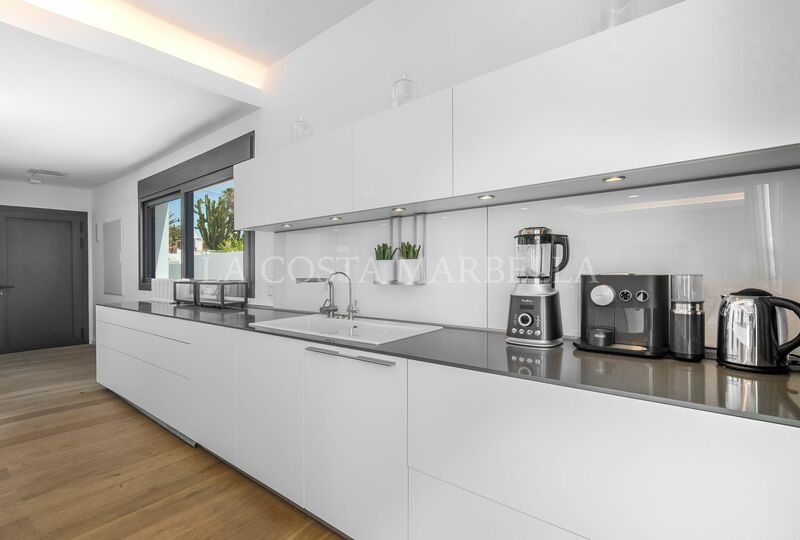 Beautiful large open plan kitchen and bright living & dining areas with huge windows that open onto the terrace and heated pool from where you can also walk straight onto the beach!!! 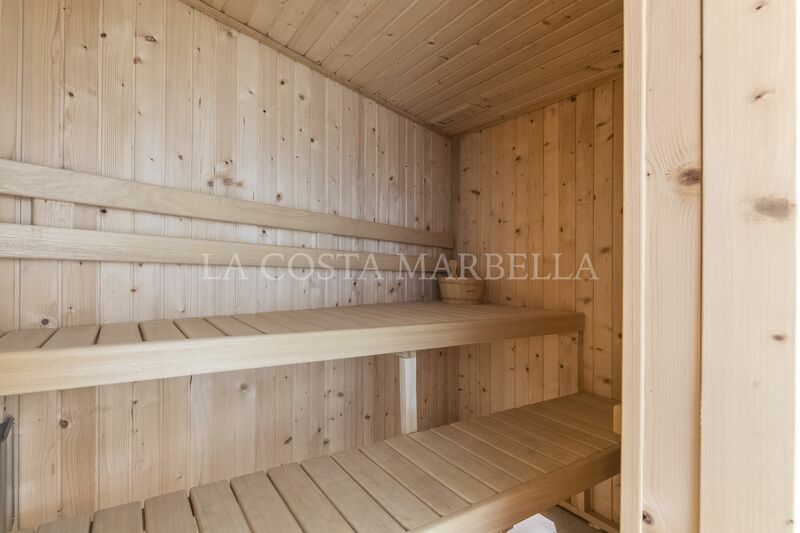 On the ground floor level you have 1 bedroom and a bathroom. 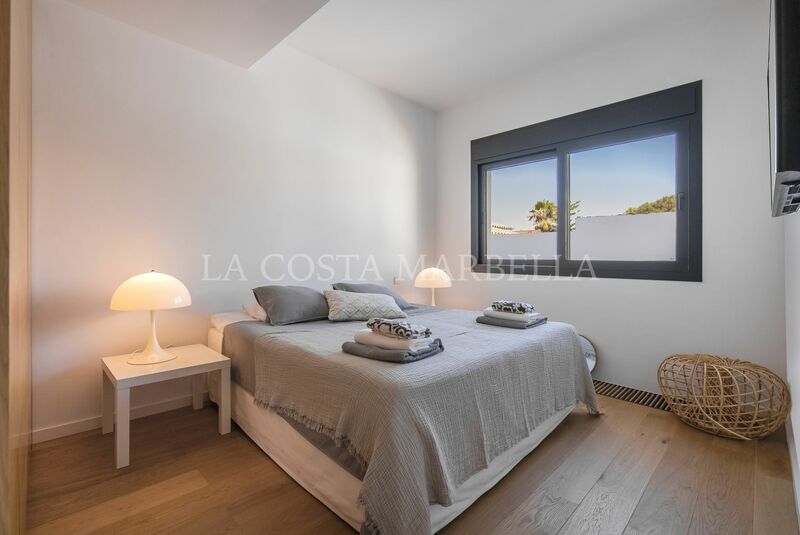 The master en-suite bedroom and two more bedrooms sharing one bathroom are located on the first floor. 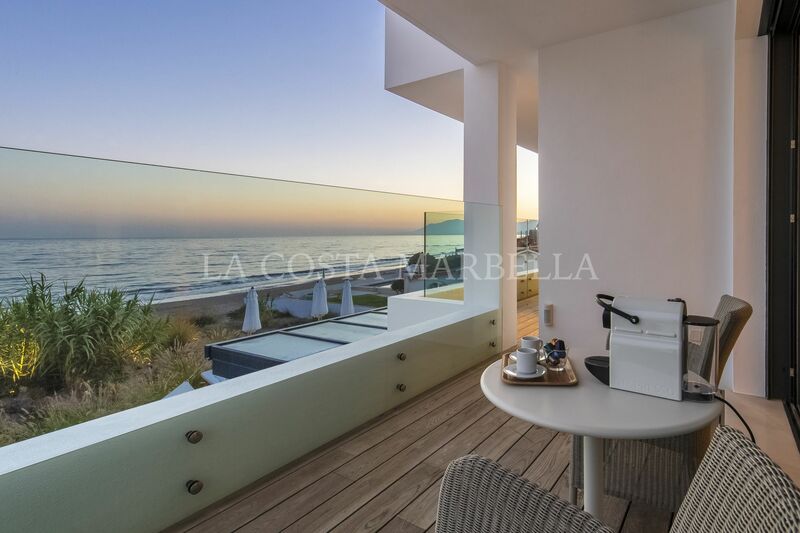 All bedrooms have private terraces. 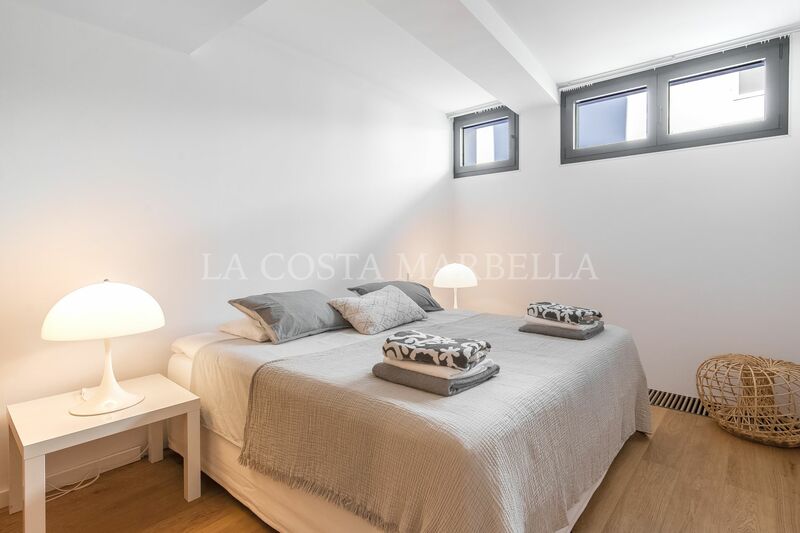 At the basement level there are two more bedrooms with a bathroom shared. 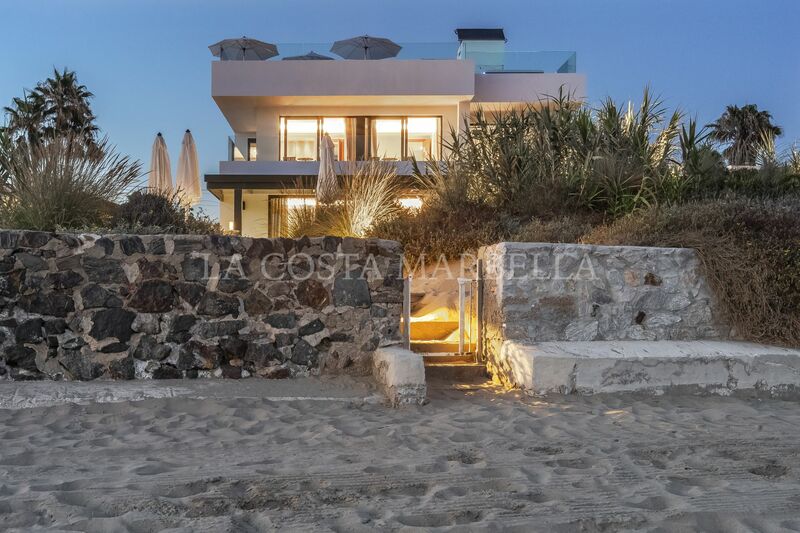 The villa has newest technology, which includes: – Sonos music system – Advance alarm system, with both inside and outside alarms – Central air conditioning & Floor heating in every room – TV in all rooms, which international and Spanish channels. 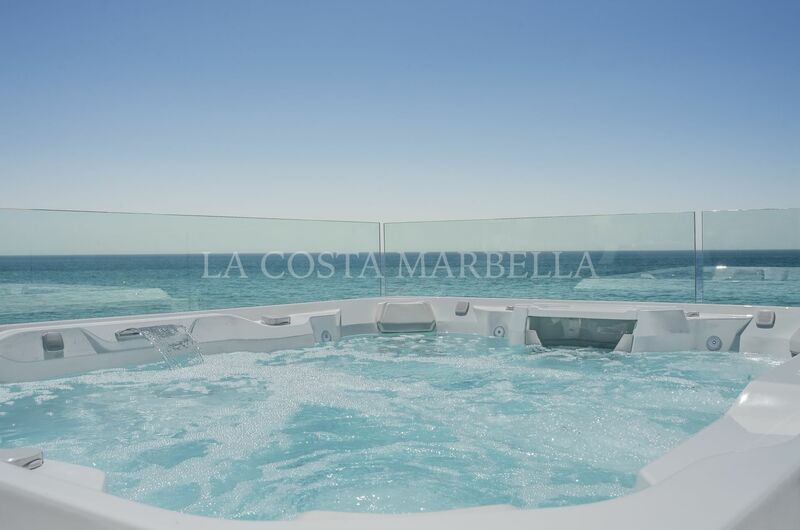 This very special location is perfect to enjoy an amazing holiday, while you relax in the jacuzzi, chill out in the sauna (fits 8 people), or dine outside in the new bar and BBQ area on the 150 m2 roof terrace with stunning 360 degrees view over the sea and mountain. 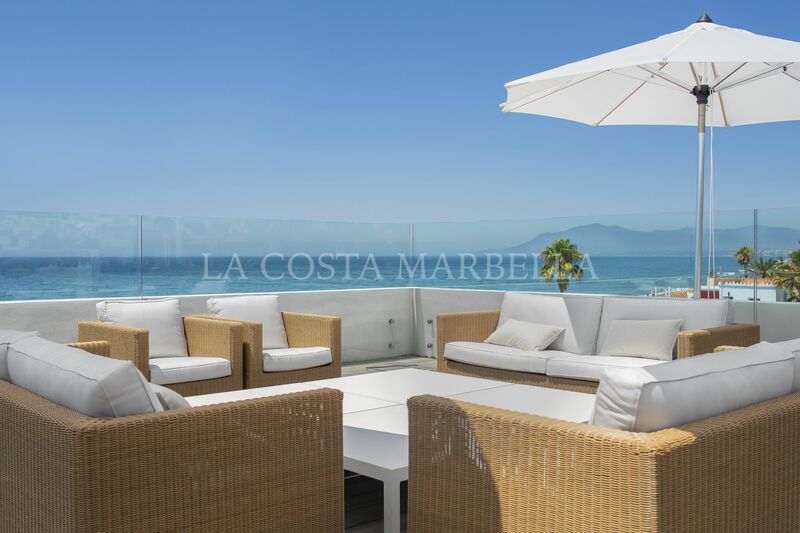 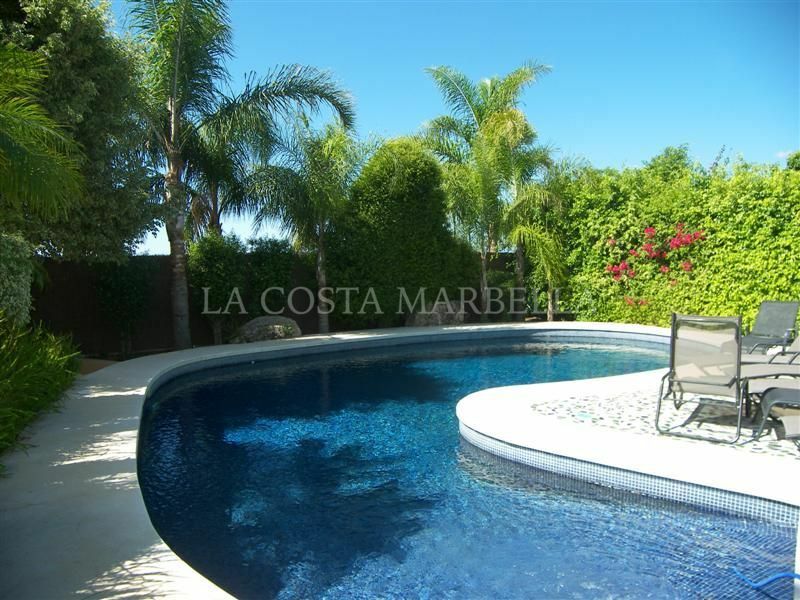 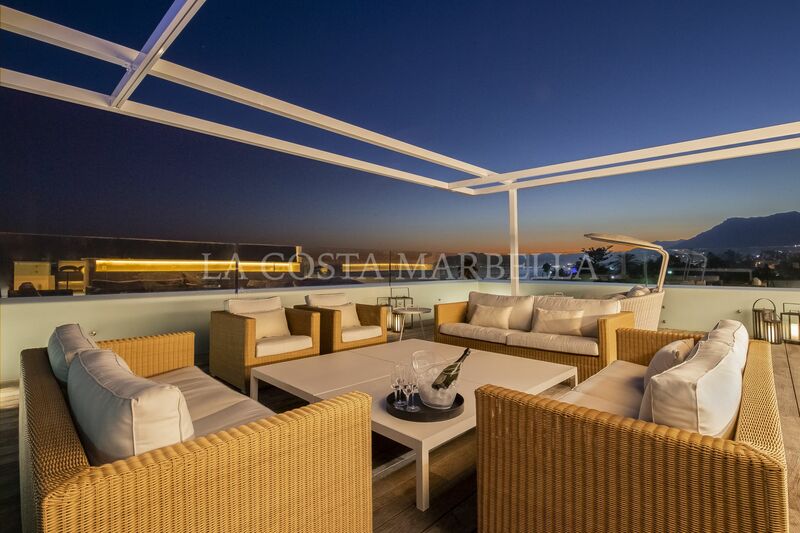 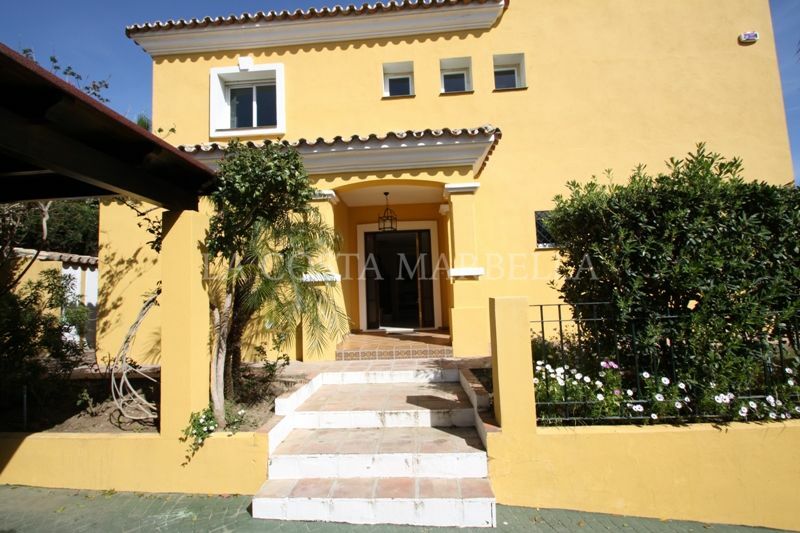 Please, send me more information about ref V894, Villa in Costabella, Marbella East or similar properties.